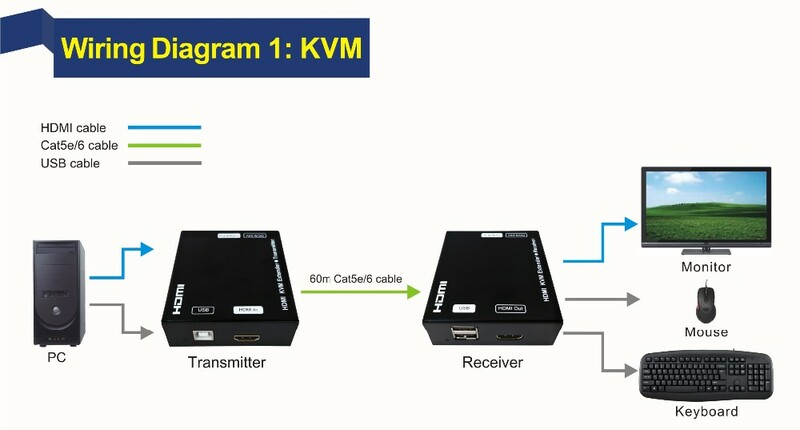 HDTV Supplys WolfPack HDMI and USB KVM Extender need only a single CAT5e/6/6 cable to transmit HDMI, USB 2.0 up to 200 feet. Using single UTP cable (cat5e/6,should follow EIA/TIA 568B standard) to substitute DVI cable to extender longer transmission distance. Supports TMDS equalization and enhancement. Supports EDID pass through via the LAN cable giving excellent compliance with most display devices. 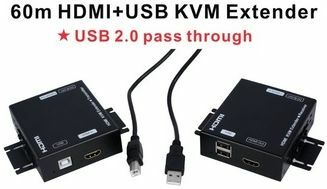 Why not buy this HDMI and USB KVM Extender today?